I've already ticked some of these off, Wohoo! Five out of Thirteen isn't so bad. Summer seems to be in full-swing, by that I mean the dreaded rain, although it's looking promising that the sun might break back through again. If i'm really honest, I prefer it when it rains. I'm not a sunshine kind of girl, the heat makes me grumpy, and agitated haha. However I hope it does improve because I really want a BBQ! I can also blackmail my family into it, seen as it is my birthday in 15 days. 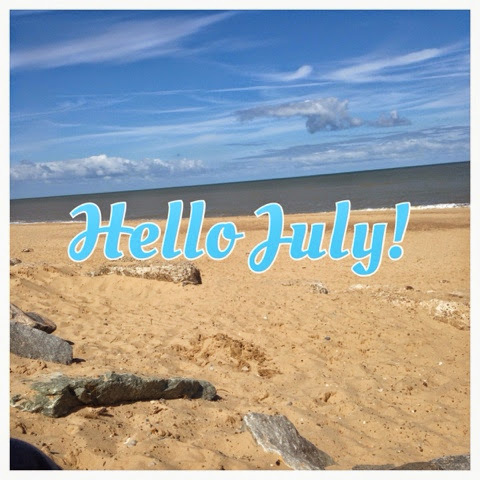 Is there anything your looking forward to in July? Do you have any exciting plans? It is scary how this year has gone by so fast! You've done a lot so don't beat yourself up. I must have baby brain, cause i completely forgot it's my birthday in July haha! Have you planned anything nice for you and your other half?